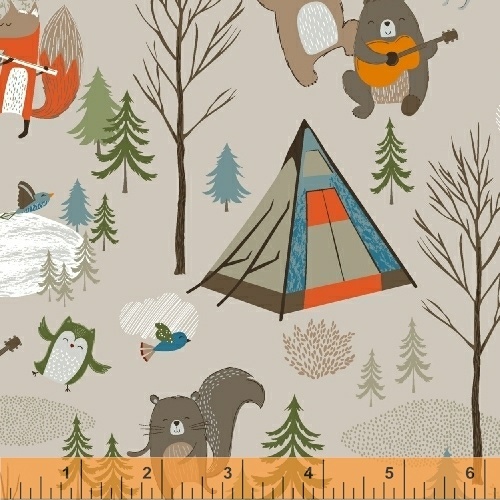 Frolic through the forest and sing around the campfire with Bear Camp. Pitched tents, fir trees, sprightly birds, bright eyed and bushy tailed woodland creatures and a furry bear texture will blend together to create fun loving and lighthearted projects. Pairs perfectly with Terrain!